Less expensive than the iconic D-28 but definitely not cheaper or less wonderful. 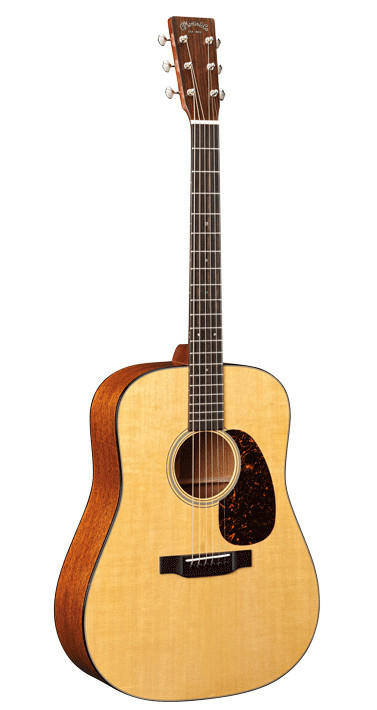 The D-18 has the benefit of being a warm and deep sounding mahogany guitar with the fast reaction of a spruce top one. 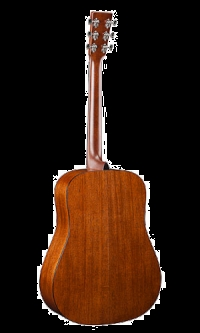 It is not an eye catcher in comparison to some other Martin guitars, but as always with guitars, looks can be deceiving. 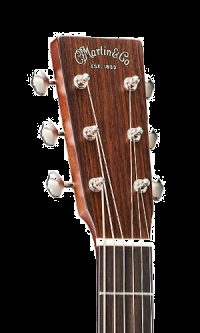 It features a sleek, modern High Performance Neck which makes it comfortable to play and as it is a mahogany guitar, it is lighter than her rosewood sisters.